My name is Shengsar and I grew up in a big, happy family in Southern Shan State in Myanmar. I have four sisters and one brother, and I am the fifth born. I lived with my father, three sisters and one brother in the village, while my oldest sister was in Thailand. My mother, who was the main provider, ran a small shop in the next village. My father worked as a farmer and my three sisters helped him while my younger brother and I went to school. Since I was young, I always dreamt of becoming an educated person. However, I had to move to Thailand after my mother passed away during her hospital treatment in Chiang Mai, and I became a farm worker when I was only 12 years old. I watched children my age going to school while I had to work. I told my boss that I wanted to study, so she sent me to attend evening classes to learn Thai. After eight months, I could read and write Thai well so I asked my sister if I could go to a Thai school. My sister contacted the Shan Women’s Action Network (SWAN), which planned to build a boarding house for the orphaned. I got a place at Koung Jor and went to the school in the next village. It was my first time attending a Thai school, and it was different from Burmese schooling. In Burma I learned by memorizing, but here I learned how to use my critical thinking skills. In the refugee camp, free English evening classes were offered to every child who lived there and I attended every evening after school. The camp also had connections with other English programs for migrants and refugees. Many students applied to these schools including me. The school in Mae Sot, Wide Horizons (WH), accepted only 12 females and 12 males among hundreds of applicants. Luckily I was accepted. WH not only taught in class, but it also let the students practice in real situations, especially when we did outside class projects. Shengsar is an incredibly active person who possesses great motivation and initiative; she does not wait for someone to ask her to do something, but thoughtfully observes her surroundings and acts appropriately and effectively. Shengsar’s commitment to her community is astute and unwavering, and inspires all those who work with her. The teacher left us to do independent tasks such as communicating with community leaders, writing a proposal and report, buying materials and managing time. After graduating from WH, I returned to the Koung Jor camp and took over as the caretaker of the boarding house where I used to live. I was responsible for the care of 14 girls and creating a home for them to be safe, happy and able to go to school. I also taught English and computer classes in the evening. Teaching was not difficult for me, but to take care of the children I had to give all my time to them. 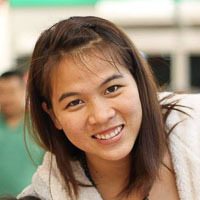 However, I still wanted to study in a university, so after completing my internship and receiving my diploma from WH, I came to Chiang Mai to find a job and pursue my studies. Luckily, my friend told me that the Shan State Development Foundation (SSDF) was hiring an accountant for their education program so I applied and have been working there since October 2012. I was also able to study at Bridging Education Access for Migrants (BEAM). The school provided guidance for taking the General Education Development (GED). Studying and working at the same time was hard for me, but I always tried my best with both tasks. After one year I finally got a chance to take the GED. After two years of work experience with SSDF along the Thai-Burma border as a project coordinator, I had to travel around to see the condition of the students in the community. By doing this, I discovered that there are still many problems that the communities have to face, especially in education, healthcare and living standards. I decided to study social development because I believe I need to develop my own skills first in order to help the people in my community. I chose to major in Social Science so I can become a social worker and work effectively for the community. By combining my experience of working along the Thai-Burma border with an academic background in social sciences, I hope that I will be able to take part in bringing about positive change in my community. 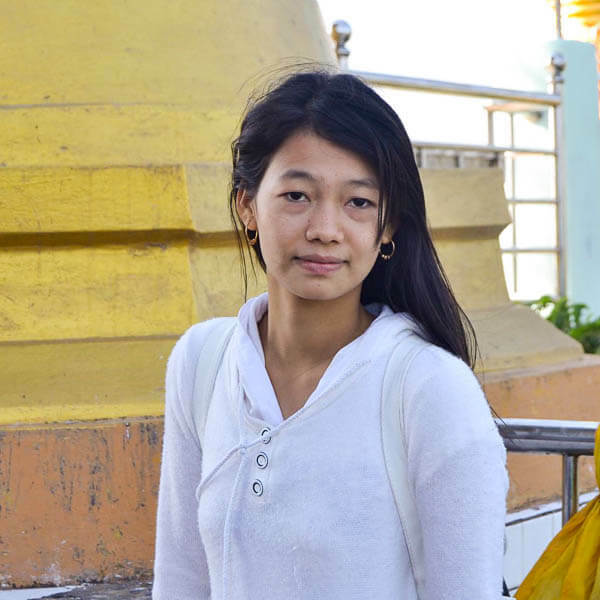 Written by Shengsar with editing assistance from Carolyn, one of Zomia’s volunteer editors. 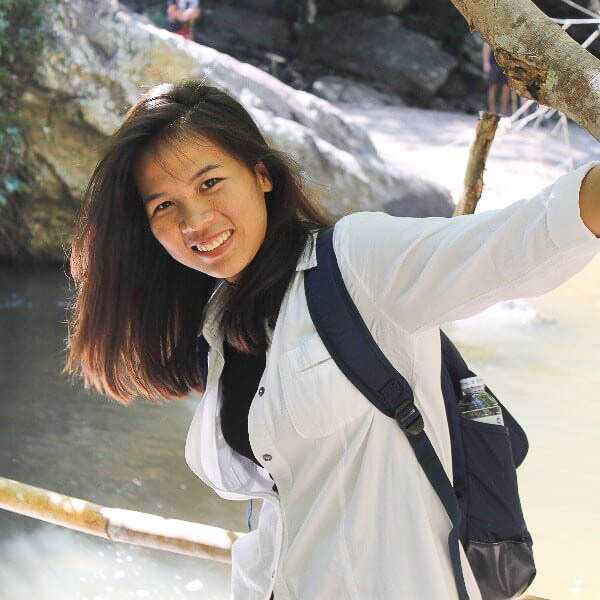 An inspiration to her colleagues, Shengsar is pursuing a bachelor’s degree in Social Science after two years in the field so she can work more effectively with migrants and refugees along the Thai-Burma border. I want to be a social worker who can help promote the life of people through health, education, development, and economic sectors. I believe these efforts will bring a great deal of development in the social sector for the community.